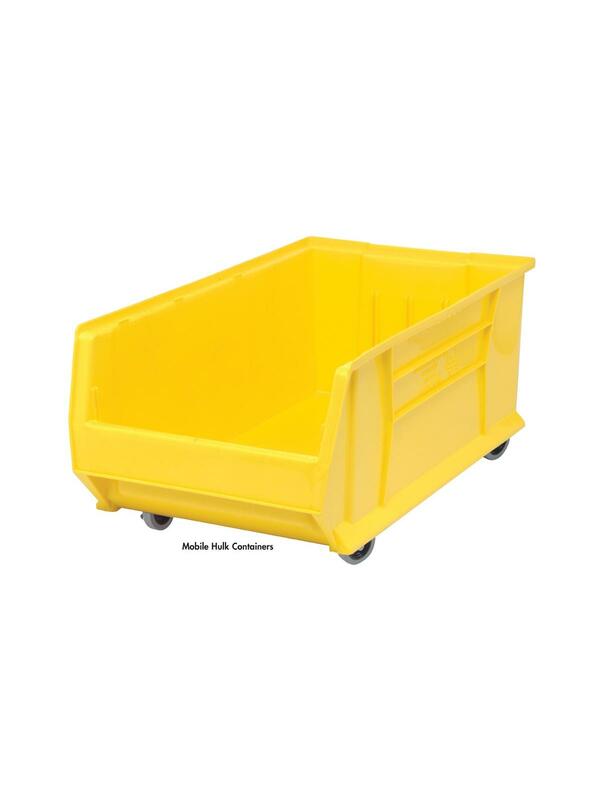 Spacious bins for storage of large supplies, parts or tools. 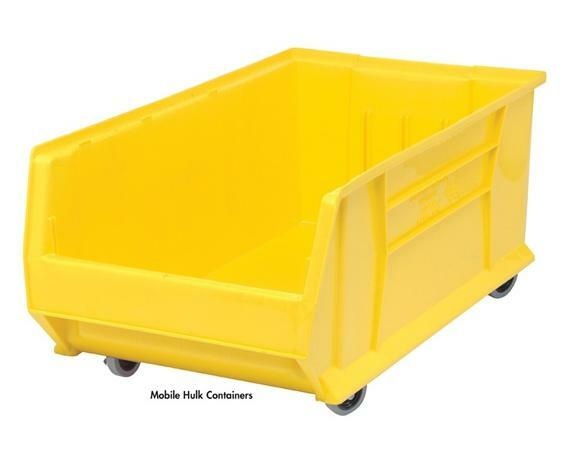 Mobile Containers - Addition of casters will increase overall bin height by approx. 3-1/4". Minimize parts handling time. Molded high-density polypropylene. Waterproof and resists rust and corrosion. Autoclavable up to 250ºF. Hulk Containers available in Yellow, Blue or Red. FOB Shipping Point. See Related Items tab for Windows & Dividers for 24", 30" & 36" Hulk Containers. 35-7/8 x 19-7/8 x 17-1/2"35-7/8 19-7/8 17-1/2"